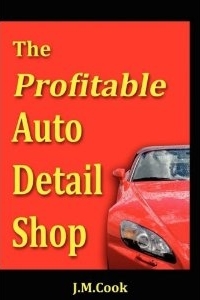 This book will be very helpful for anyone thinking about opening their own auto detail shop. There are also great ideas and information for people who already have a shop and are looking for ways to improve profitability. From out-sourcing and up-selling to step-by-step detailing systems, this book covers it all. If you're the type that dosen't want to sit for hours at an office job, if you want the pride and satisfaction of being a craftman and owning your own profitable business, then starting an Auto Detailing Business could be your road to success. Click here for more information.